I used to read a lot but because I have many tasks to finish, I rarely get to read now. Starting this month though, I will be incorporating reading in my schedule as necessary "me time" so I will be able to read without feeling guilty that I am doing something not on my to-do list. I also set a reading goal of 12 books this year and to encourage myself to meet this, I will be posting book reviews at least once a month. 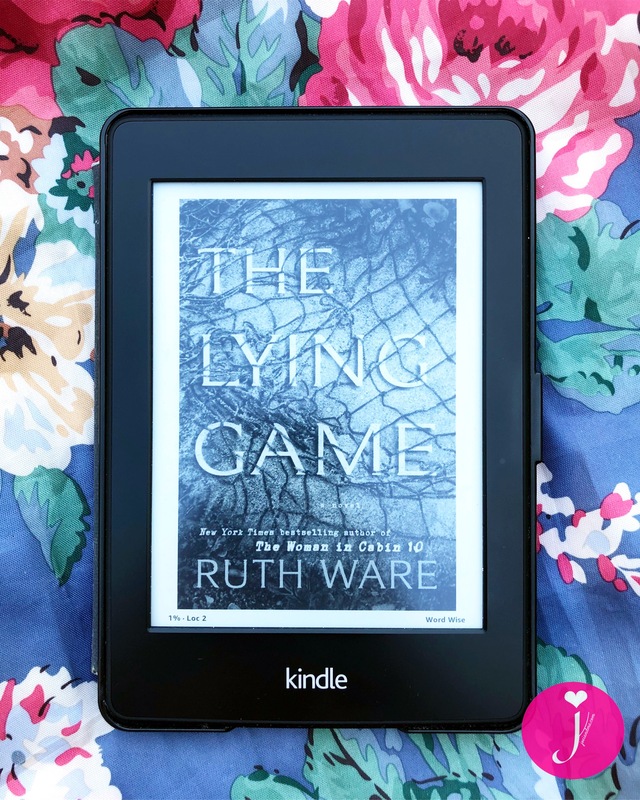 The latest book I finished is "The Lying Game" by Ruth Ware. I really liked the author's first book called 'In A Dark, Dark Wood' and was excited to learn that she has another book coming out. However, her second book 'Woman in Cabin 10' extremely disappointed me. Ruth Ware had a good premise for this-- a journalist who was invited to a cruise sees a woman go overboard but when she reports it to the authorities on the ship, she was told that all passengers were accounted for. Intriguing right? But it was badly written, the story just went in circles, and the ending didn't really make up for all of that. So when her third book called 'The Lying Game' came out, I didn't want to get my hopes up. The premise is pretty solid again-- a group of high school girls play this game where lies are given corresponding points, the lie that affects people the most will garner the biggest points but someone died and now that they are adults, their adolescent lies are catching up with them. Like I mentioned earlier, I wasn’t expecting anything with this book and that’s why I was surprised that the plot held my interest until the end. The characters were weak though and not very interesting. They each had a background story, which could’ve been builded up, but Ruth Ware left everything raw and disconnected. The storytelling made up for this but don’t expect big twists and turns because the plot reveals itself slowly until the reader can already surmise what happens next. This is still no closer to Ruth Ware’s first novel ‘In A Dark, Dark Wood’ but definitely better than her second ‘Woman in Cabin 10’. Giving ‘The Lying Game’ 3.5 stars out of 5.